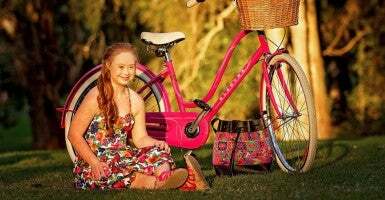 Madeline Stuart, an 18-year-old from Brisbane, Australia, is one step closer to achieving her dream of changing society’s perception of disability. 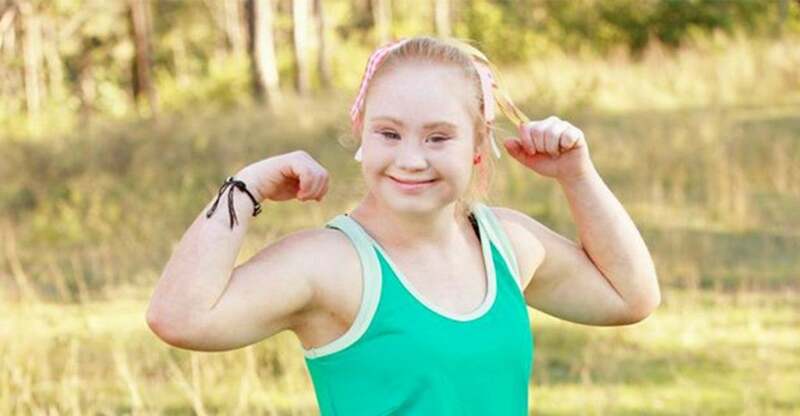 The teen, who has Down syndrome, was just tapped by body-positive fitness brand Manifesta to be their newest model. Manifesta’s website declares that the “only valid judge of a woman is herself,” and is known for it’s non-traditional sizing methods, using names like “Willow” and “Poppy” to denote measurements instead of numbers. Stuart is herself no stranger to weight struggles. A social media phenomenon with over 384,000 Facebook fans, 39,000 Instagram followers, and 2,000 Twitter followers, Stuart also has a heart condition. She first made headlines in May of this year when she debuted the results of an 18-month-long commitment to a healthy lifestyle: a whopping 40-pound weight loss. “The feeling of being healthy is so much better than the feeling of any really yummy food,” Stuart told The Daily Signal. Posting photos of her progress online as well as impressive before and after shots, the aspiring model began to notice her social media presence growing earlier this year. She reportedly had offers from up to seven fashion brands this summer, but Manifesta seemed the natural fit. Stuart joins the ranks of other models with Down syndrome like Jamie Brewer, an American who has walked in runway shows at New York Fashion Week. 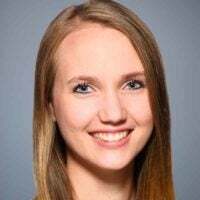 Stuart, who says she first realized she wanted a be a model last July at a fashion show, maintains an active routine of swimming, hip-hop dancing, training to compete in cricket at the Special Olympics, gymnastics, basketball, and cheerleading. She hopes that her journey will inspire others to get healthy. “[To reach your goals], be strong and don’t give up,” Stuart said in an interview with The Daily Signal. The new Manifesta advertising campaign features photos of Maddy, as she is known, posing in vibrant leggings and tops, along with a big smile.